What holsters fit the CZ 82/83? Generally speaking, the CZ 82 and 83 should be identical in fit for any holster. 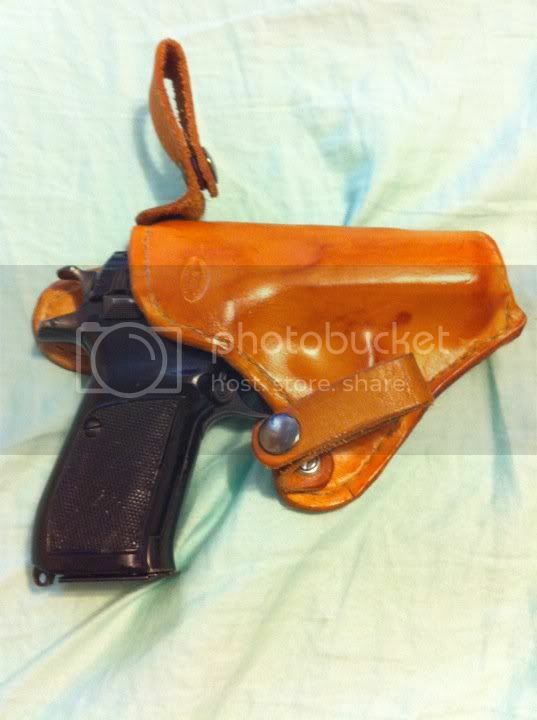 The only one I know of specifically is the High Noon line, http://highnoonholsters.com/index.html, plus the Uncle Mikes nylon generics http://www.uncle-mikes.com/um_cat_holsters.html, the size 1 should work. Re: What holsters fit the CZ 82/83? FIST makes a couple of different kinds along with BladeTech and Cross breed. but I have not tryed this on my own yet. I recently made my own leather/Kydex IWB holster for my CZ83. Works great and cost under $20.00. Will sent pict when my camera is returned. Make a decision; live with the consequences. Here's a pancake that's adaptable as an IWB for a decent price. I think I may order one soon. Life isn't fair, stop expecting it to be. Just came across this one the other day. I haven't been out to try it yet though. I am wondering if any CZ 82 owner has tried the Blade Tech DOH holster listed for CZ 83 to see if it fits the CZ 82? Retired from USMC and Army, total 24 years. I use a Gould and Goodrich model 891, K40. BTW, since the front of the trigger guard on the CZ83 is a different shape than that of the 82, there are some holsters that will not fit the 83 and the 82 interchangably. 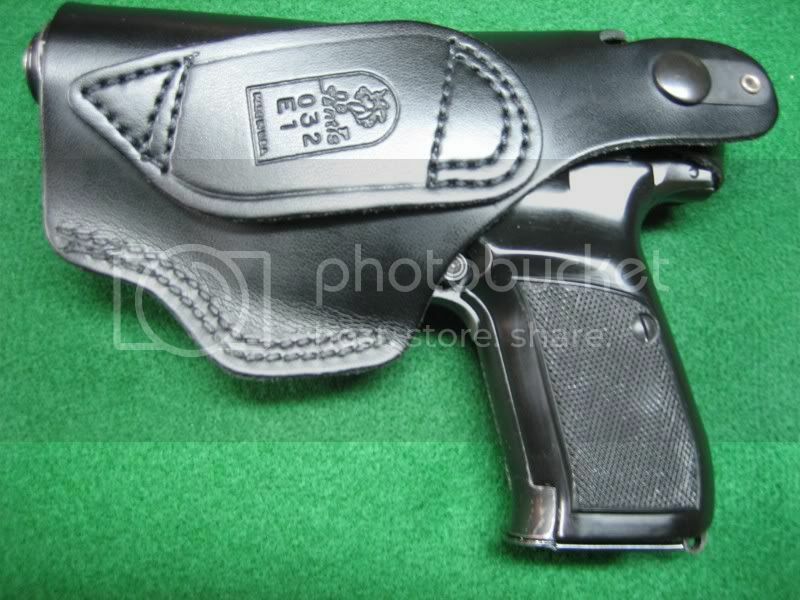 General rule of thumb though, most leather holsters where one fits, the other will too. 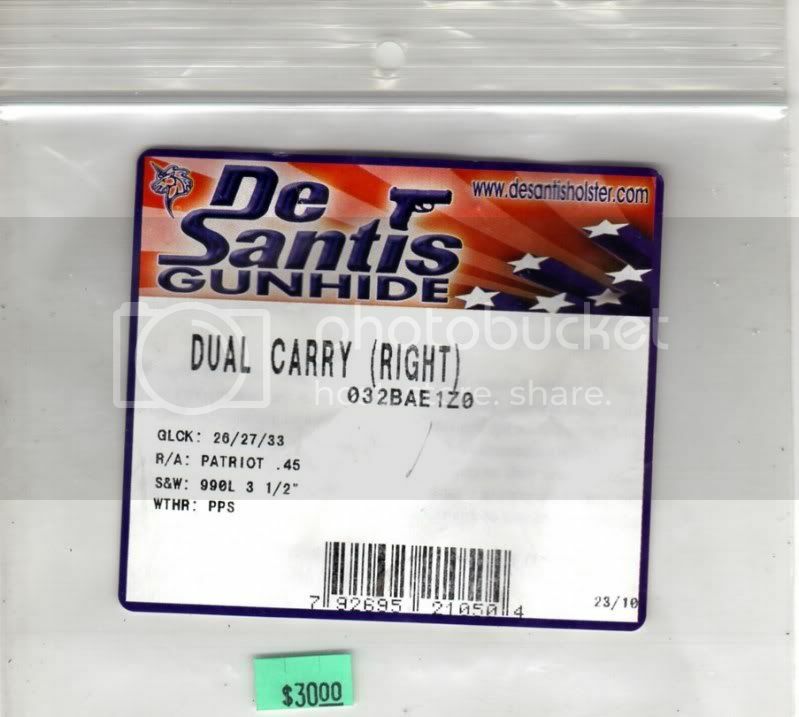 I'm not much into polymer holsters, but suspect there is less tolerance between designs. Crossbreed makes a CZ83 holster, but will form the CZ82 trigger guard if you request it in email. Yeah, go ahead. Break into my house! Started making holsters about a year ago - because I'm cheap! This is what I made for my son's CZ 82 and I'm making my own the next three day weekend I get. nice holster hayfield...I am going to try my hand at making a holster for my cz-82 but haven't decided on leather or kydex yet. Good luck big 54r! I know you'll do a great job. I knew nothing about making holsters when I started, about 18 months ago. I did lots of research on the internet and learned a lot from the first couple holsters I made. Each gets a little better and I even line them, now, as the rough leather was wearing the finish off my Kimber. I use two weights of leather and glue them, rough side to rough side, with the very thin stuff on the inside - even did one lined in pigskin! Desantis 032 is a very nice fit. It is has belt loop and an Inside-the-waistband clip. It also has a thumb break. I should be recieving a CrossBreed for a CZech 83 (1989) any day now, Was told that the round trigger guard will work fine with newer style squared off holster. i will keep you posted with the results. 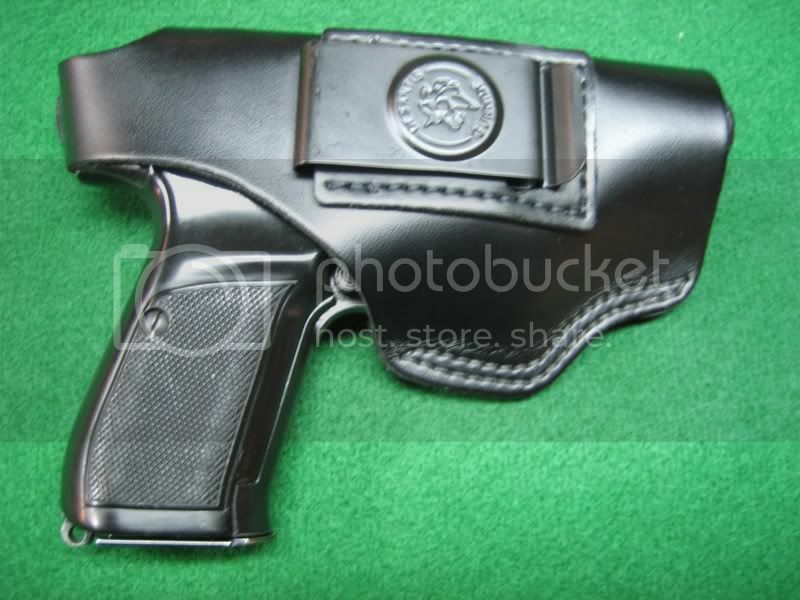 I just put and order in for a JBP "Sleeping Dog" Dual Use holster (http://www.jbpholsters.com/servlet/the-67/LEATHER-GUN-HOLSTER-JBP/Detail). I have heard good things. I will update everyone after I receive it about my impressions.